Veteran broadcaster Lou Dobbs noted Tuesday that the decision to dismiss any notion that the Notre Dame fire could have been a deliberate act was based on politics, rather than any investigation of the facts. “One thing authorities are ruling out, however, within just a matter of hours, arson,” Dobbs stated. “That was a decision made within hours. It sounds like a different kind of decision,”Dobbs added. “Perhaps a political decision rather than one based on careful investigation of the facts.” he further told viewers. Dobbs cited the enormous amount of attacks on Catholic churches in France last year alone as a reason why it is entirely valid for anyone to wonder if the Notre Dame fire was set deliberately. “Perhaps overlooked since yesterday is 875 Catholic churches in France were vandalized in 2018 — 875! In a single week last month, 12 churches were vandalized, including a fire deliberately set at a church also located in Paris.” Dobbs urged. “This is context, this is not speculation, this is the situation right now in France and the recent history of what has happened to Catholic churches throughout the nation.” he added. 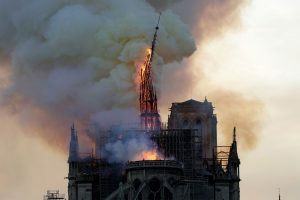 “Ignored too often by some covering the tragedy, some who have ruled out ‘speculation’ about the cause of the Notre Dame fire as they speculate — taking it as gospel that arson was not the cause.” Dobbs noted. While many actually celebrated the fire, news networks declared it was a made up conspiracy theory that anyone was happy Notre Dame was burning. Hope you can join us. 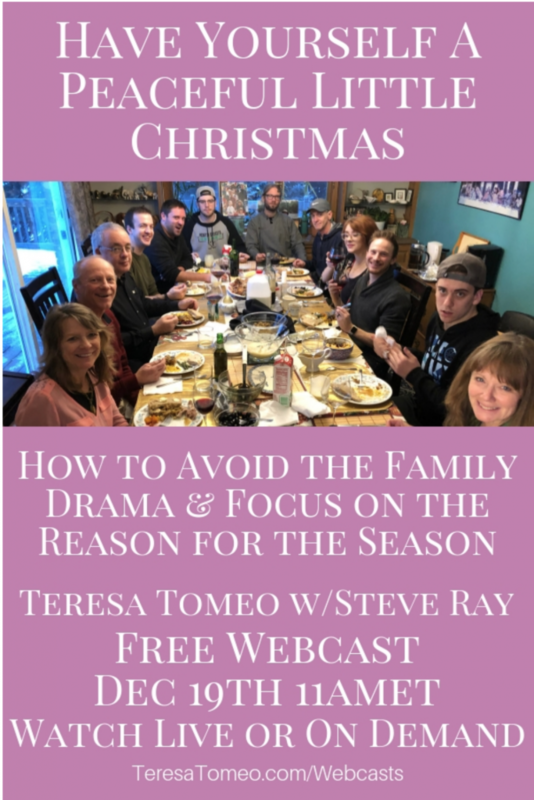 We will be discussing, “Steve Ray’s 7 Rules for Dealing with Non-Catholic Family & Friends. Free Offer: No FAKE NEWS! “Catholic World Report” Magazine FREE On-line! Start the Year Right! If You Know a Filipino . . . The Invisible Boy – More on the Unhappy Decision by the “Boy” Scouts & They Didn’t Wait Long! They hit the nail right on the head!